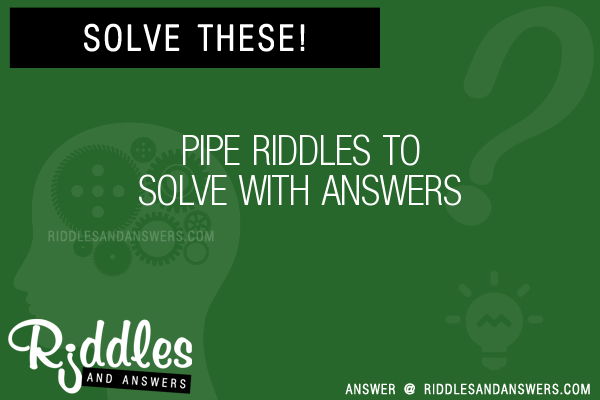 Here we've provide a compiled a list of the best pipe puzzles and riddles to solve we could find. The results compiled are acquired by taking your search "pipe" and breaking it down to search through our database for relevant content. A certain mathematician, his wife, and their teenage son all play a fair game of chess. One day when the son asked his father for 10 dollars for a Saturday night date, his father puffed his pipe for a moment and replied, "Let's do it this way. Today is Wednesday. You will play a game of chess tonight, tomorrow, and a third on Friday. If you win two games in a row, you get the money." "Whom do I play first, you or mom?" "You may have your choice," said the mathematician, his eyes twinkling. The son knew that his father played a stronger game than his mother. To maximize his chance of winning two games in succession, should he play father-mother-father or mother-father-mother? Hint: Who does he need to beat to win? To beat two games in a row, it is necessary to win the second game. 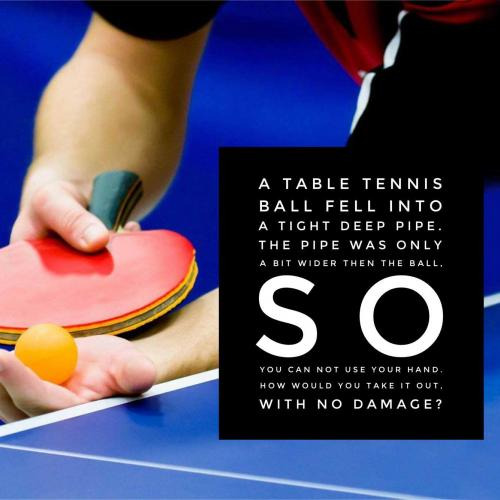 This means that it would be to his advantage to play the second game against the weaker player. Though he plays his father twice, he has a higher chance of winning by playing his mother second. What can go up a drainpipe down but not down a drainpipe up?